Entree de MM. de Couvonge et de Chalabre, . 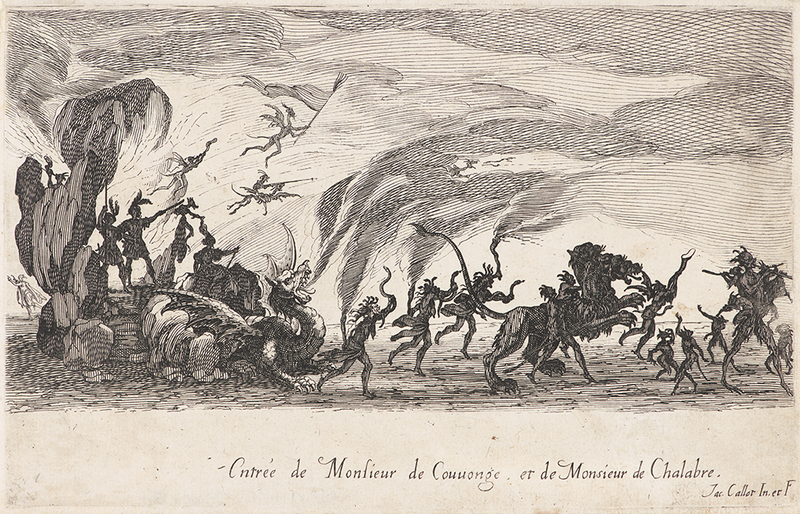 From The Combat at the Barrier (Le Combat à la Barrière). Etching. Only state. DAC accession number 1971.10.1.5. Purchase funds and funds donated by the Henfield Foundation, 1971. Open Access Image from the Davison Art Center, Wesleyan University (photo: M. Johnston). http://dac-collection.wesleyan.edu/obj3312 is a persistent link to this page with no user-session information.